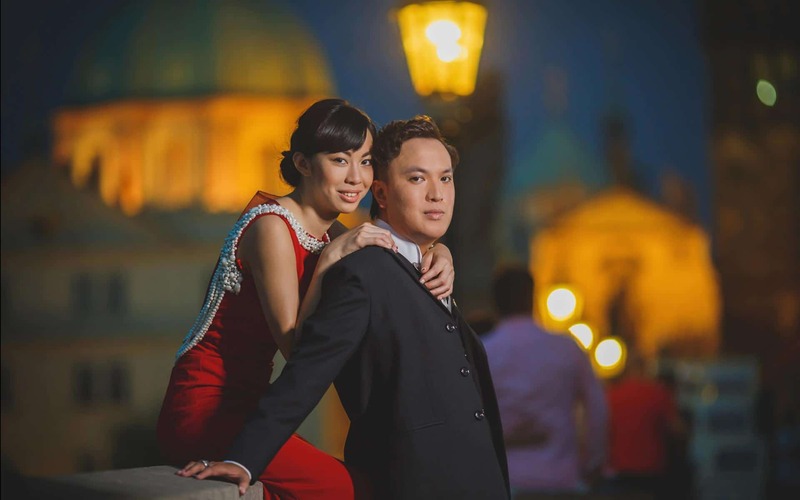 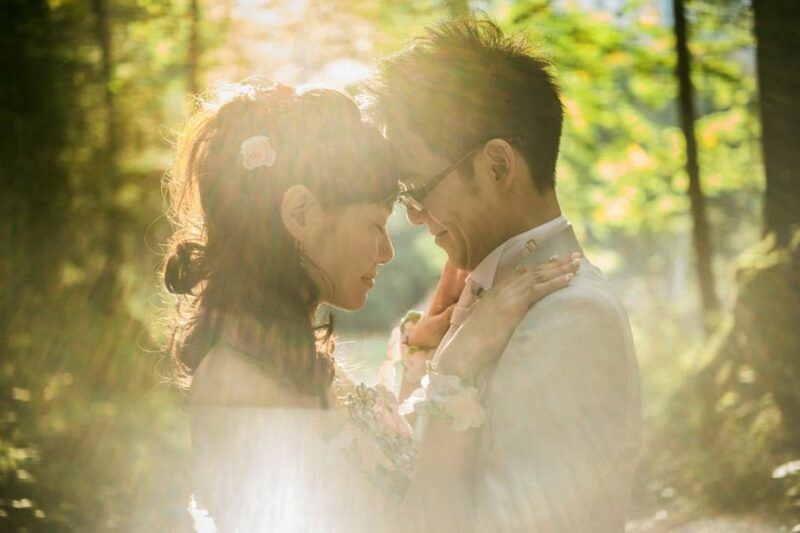 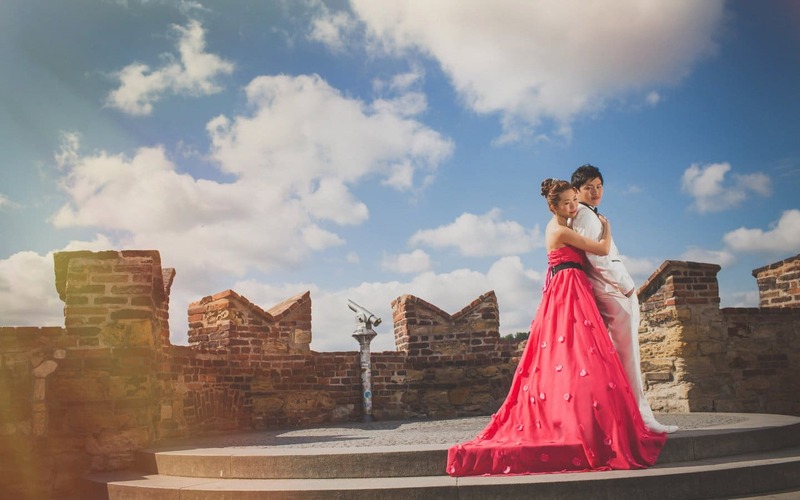 Eriko & Kentaro (Japan) were looking for a truly unforgettable pre wedding portrait session as a part of their European vacation and wedding day in Prague. 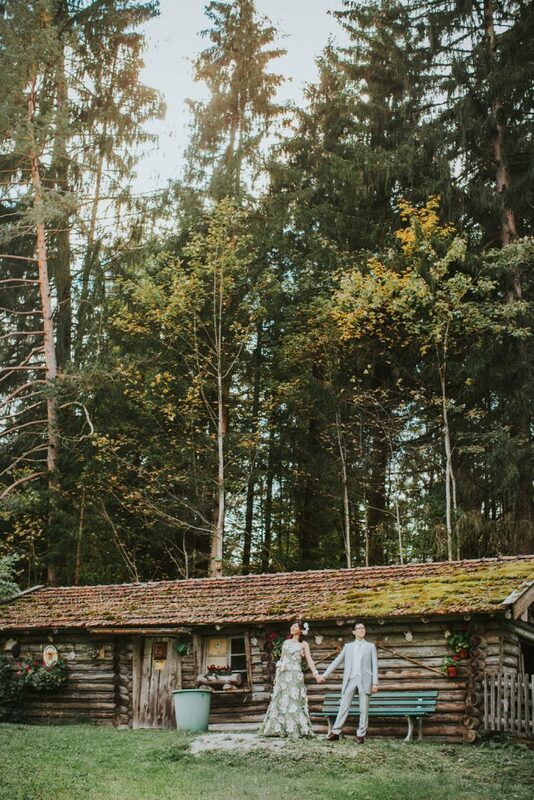 They had seen a wedding photograph that I had captured a few years back that has made the rounds on several blogs and websites and were inspired to visit this part of Europe themselves. 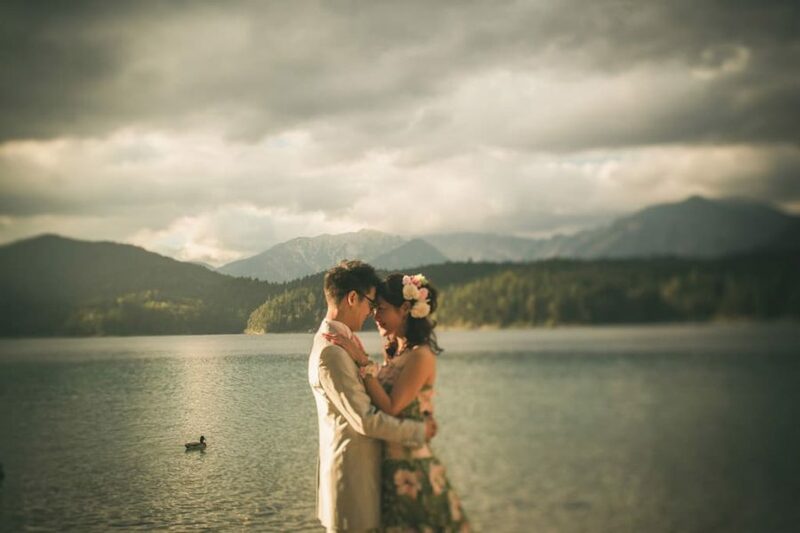 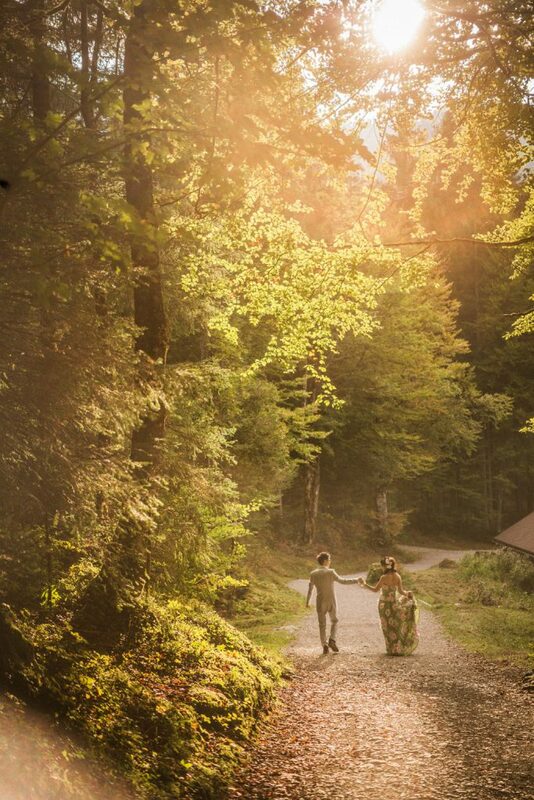 The image: a couple in a red rowing boat during their wedding day on the beautiful lake Eibsee. 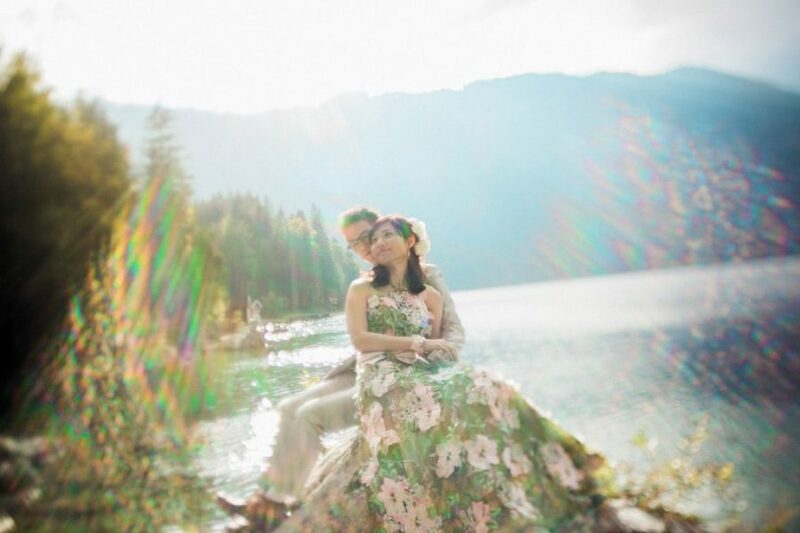 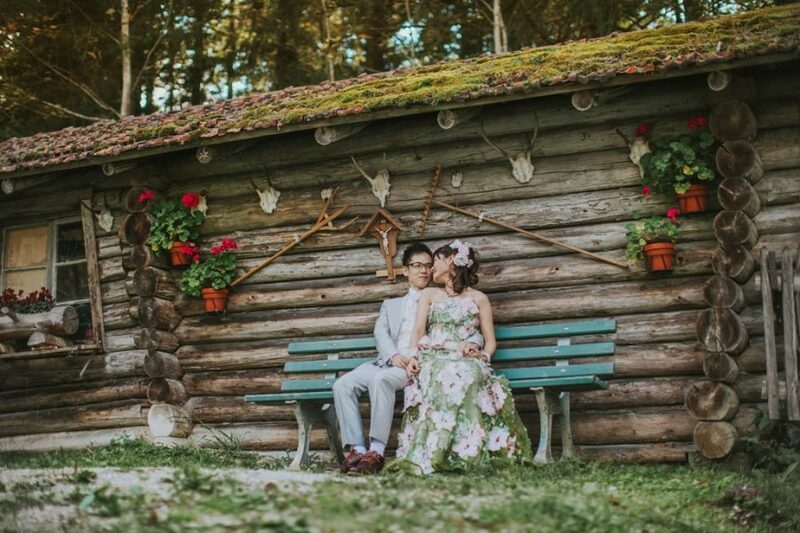 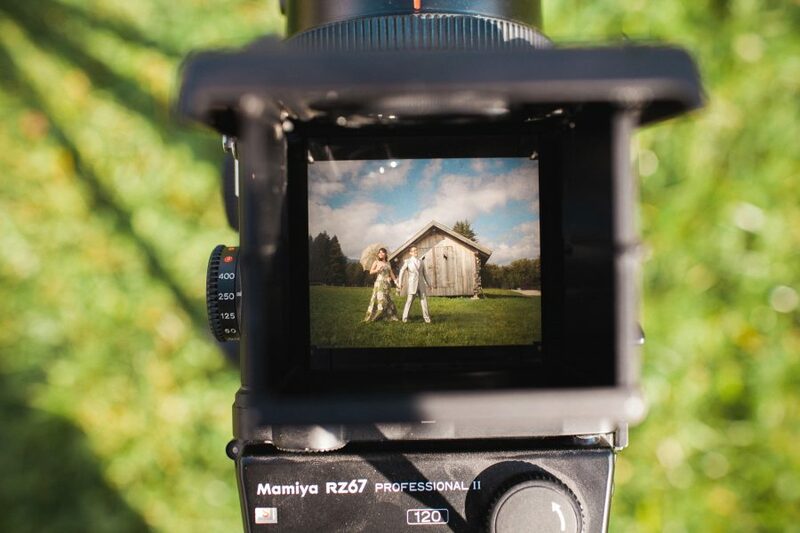 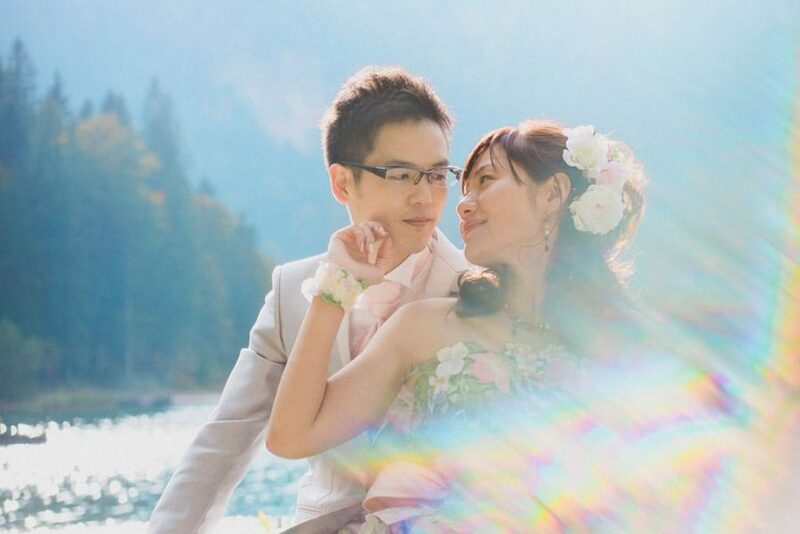 To be honest, it is one of my favorite wedding photos as it was also one of my first destination weddings. 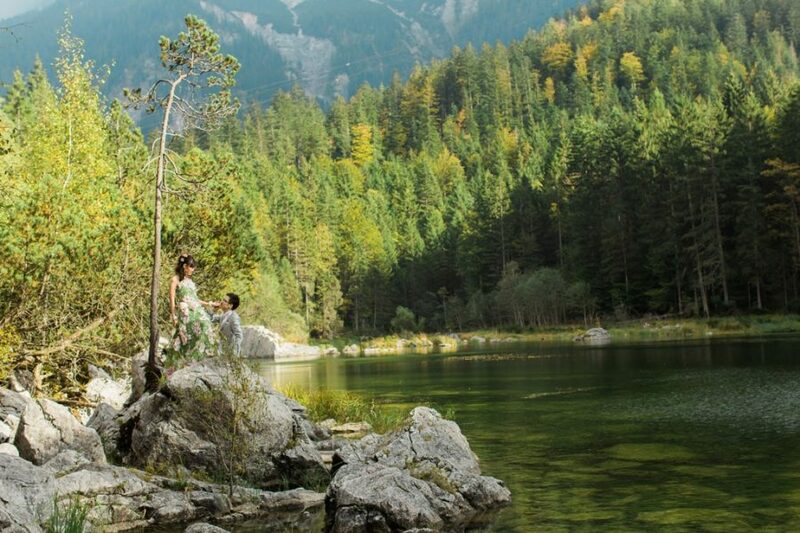 Even though the boats had been removed for the season two weeks prior to their arrival they were ok with that as they simply wanted to visit this part of Germany and have their time there captured with yours truly. 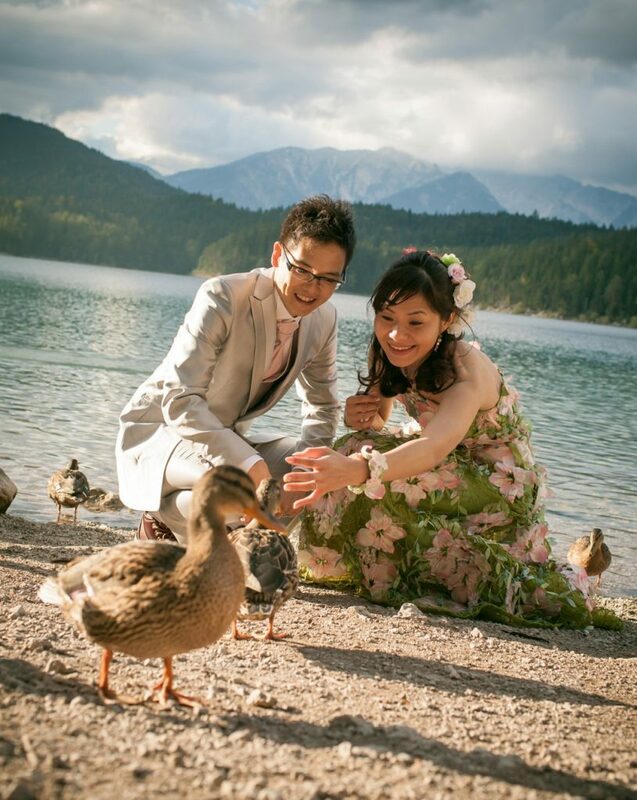 Without a doubt the heart of Bavaria (Garmisch-Partenkirchen) did not let them down. 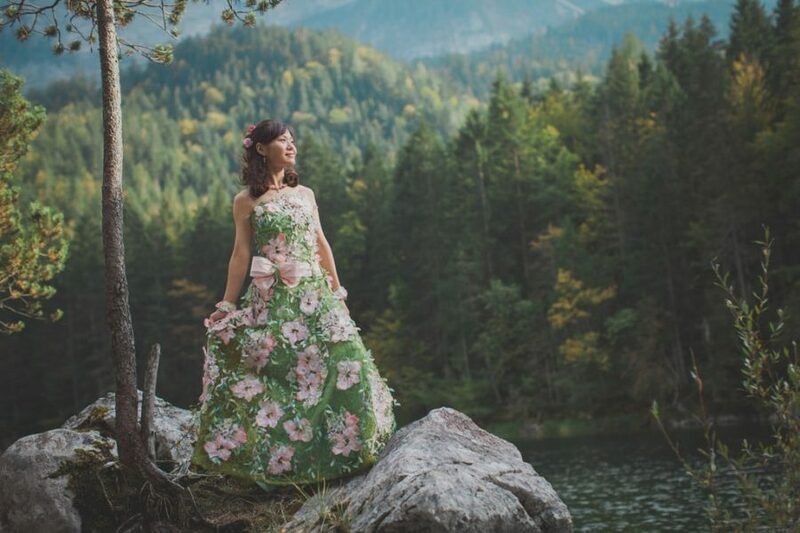 On the day of their session the very stylish Erika wore a beautiful floral designer dress and matching green shoes that she brought from Japan. 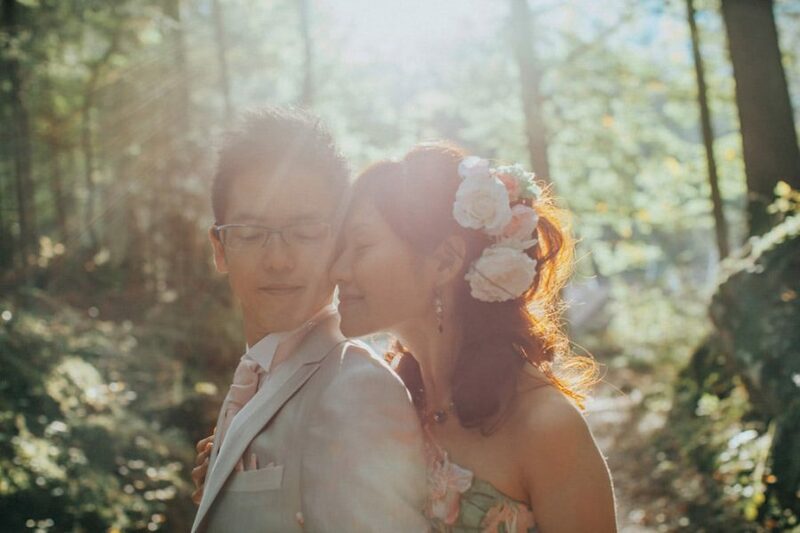 Kentaro, not to be outdone, also looked quite dapper in his very stylish suit. 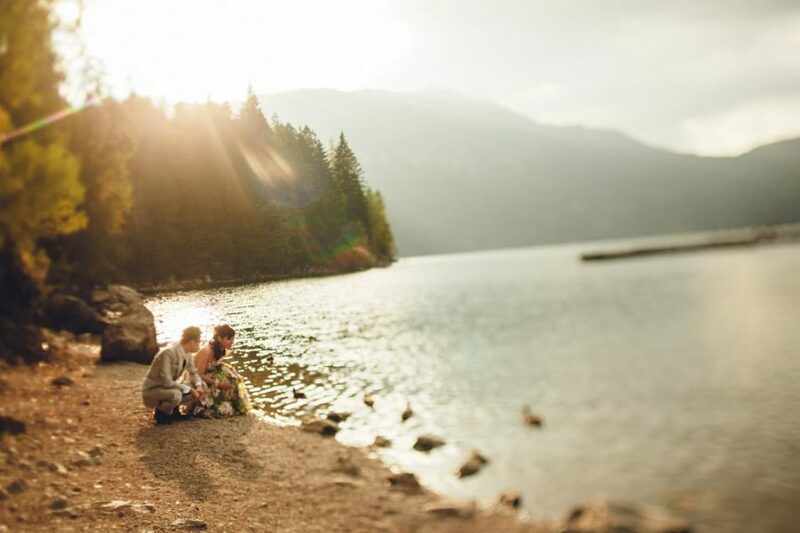 Their idea was to simply enjoy the scenery (the farmers lands with its barns, the woods and of course the Lake Eibsee and to allow nature to dictate how they were feeling). 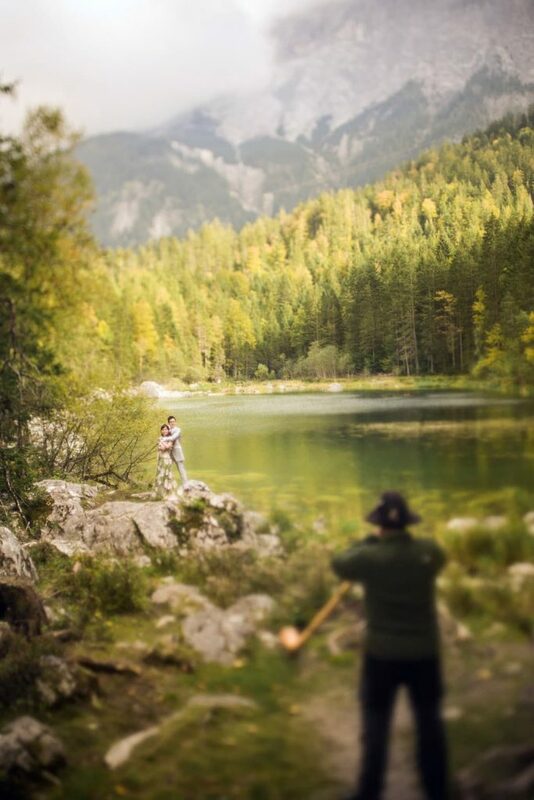 As they strolled through the woods we came across a wonderful small lake and just as these two arrived to a scenic spot that was perfect for capturing them; a single Alpine horn player provided them with a musical accompaniment that reverberated throughout the valley around them. 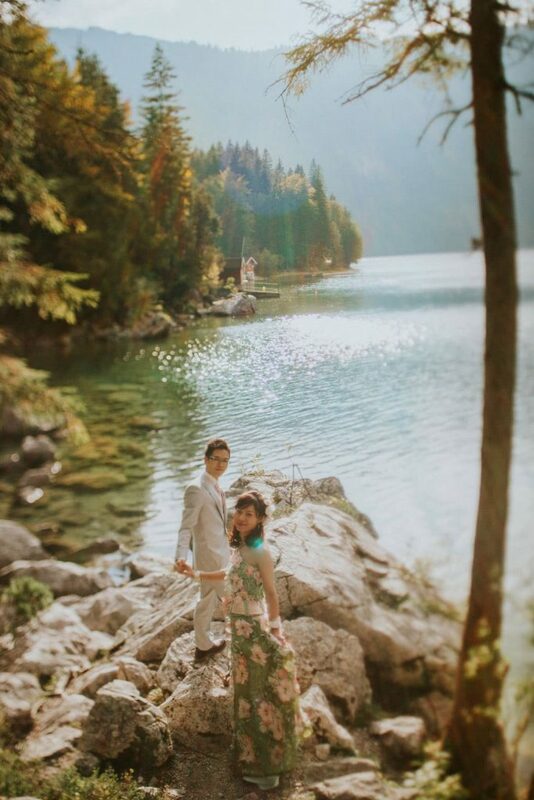 It was a truly unforgettable and special moment and one that will not be forgotten thanks to these beautiful photographs captured on that very special day in Germany. 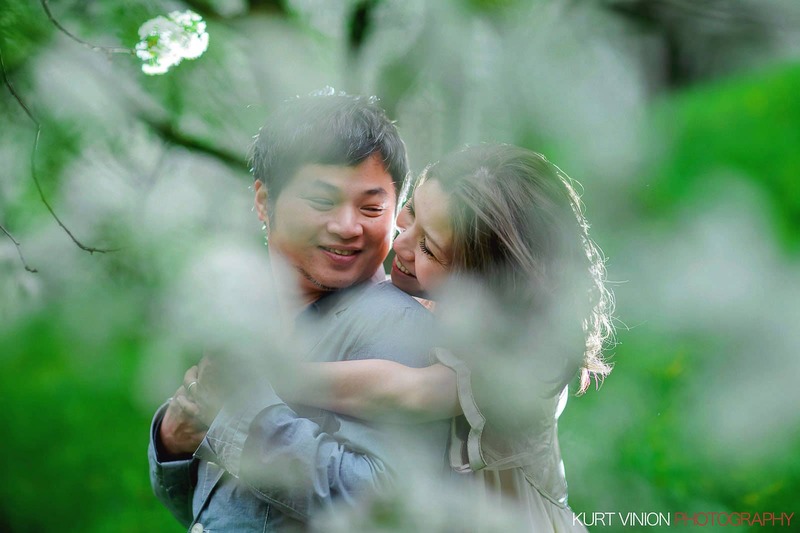 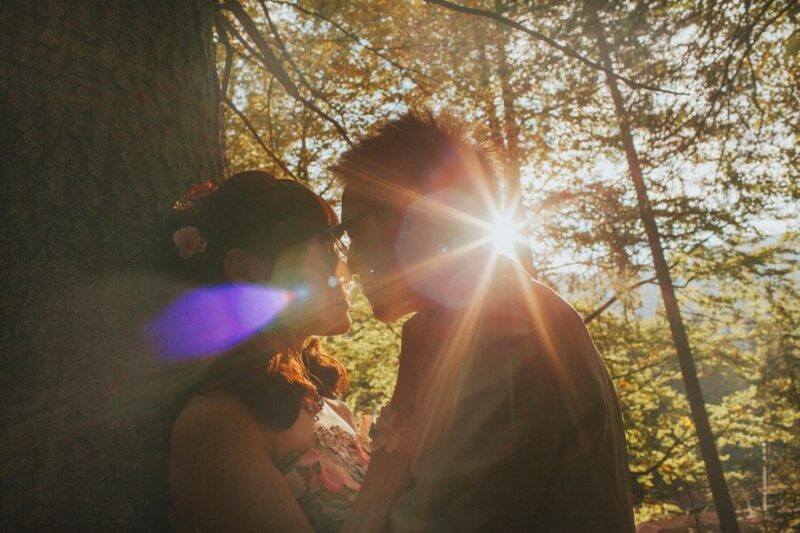 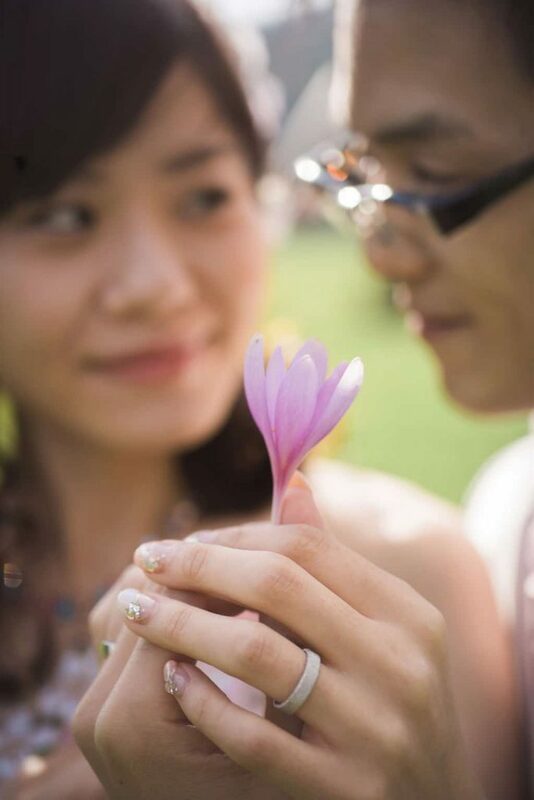 To Eriko & Kentaro, thank you both again for allowing me to capture such an incredible time in your lives together.